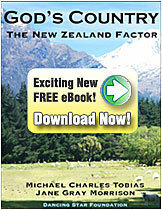 The filming of “Hotspots” throughout New Zealand encompassed over one hundred interviews with key scientists and others working to save endangered species and habitat, on Stewart Island/Rakiura, Ulva Island and Codfish Island (Whenua Ho), in Fiordland National Park, with the Department of Conservation in Te Anau and Burwood Bush, at Pukaha Mount Bruce National Wildlife Sanctuary, at the Grand and Otago Skink site at Macraes Flat in Central Otago, at Karori Wildlife Sanctuary in the heart of Wellington, at the Westshore Wildlife Reserve in Napier, at the Maungatautari Ecological Island Trust reserve, in the city parks of Auckland, and at Tiritiri Matangi Open Scientific Reserve, as well as dozens of other reserves and extraordinary locations throughout the country. Some of the remarkable species captured on film include: a Short-tailed Bat pup, Kakapo, Kokako, Blue duck, several Kiwi, various Tuatara, Skinks, Kaka, Kea, Kakariki, Fantails, Keruru, Silver eyes, Stewart Island Black Robins, Little Blue Penguins, Yellow-Eyed Penguins, New Zealand Fur seals, Bottle Nosed Dolphins, Paradise Ducks, Hihi, Tomtit, Saddleback, Weka, Pukako, Brown Creeper, Grey Warbler, and many others. DSF was grateful to have the strong collaboration of the Department of Conservation throughout this endeavor, and was pleased to be able to screen the very first showing of the film for the Southland Conservator and key staff of the Department of Conservation in Invercargill, and then for DOC staff on Stewart Island/Rakiura prior to a large public screening at the Waikato University Performing Arts Center, co-sponsored by the Botany Department of the University and the Maungatautari Ecological Island Trust. One spin-off from the “Hotspots” filming throughout New Zealand to date is a special documentary short for the Department of Conservation and the Alexandra Museum Exhibition on the Grand and Otago Endangered Skinks.